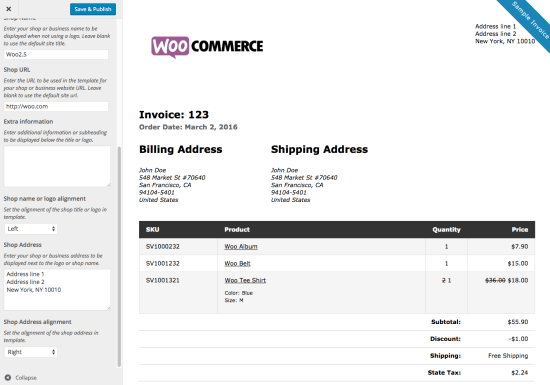 WooCommerce Print Invoices and Packing Lists extension: allows you to print invoices and packing lists for customers’ orders straight from the Orders page (individually and in bulk). 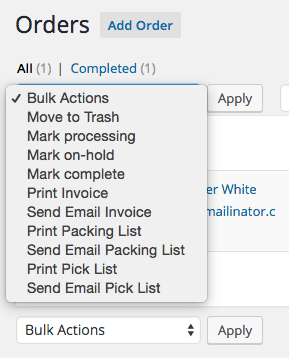 WooCommerce Print Invoices & Packing List Extension is an all-in-one tool! With it, you can generate invoices, packing lists, and pick lists for your WooCommerce orders. WooCommerce Print Invoices & Packing List Extension helps you provide great customer service by streamlining the fulfillment process. Use the WooCommerce Print Invoices & Packing List Plugin to print invoices individually or bulk to include with the customer’s shipped order. Or, email the invoice after the customer pays for his/her order. 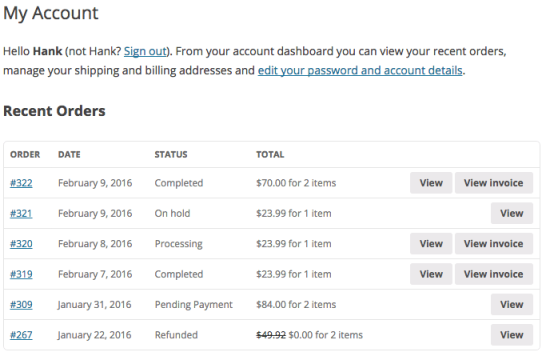 Finally, customers can view their invoices on-demand via their normal WooCommerce Account page. Use a ‘packing list’ if you need to see all items that are included in a single order. Use a ‘pick list’ if you need to see a items from several different orders combined. Organized by category.